Part of the mission of It’s a Fiery World is providing feedback to new and established fiery food companies about their products. 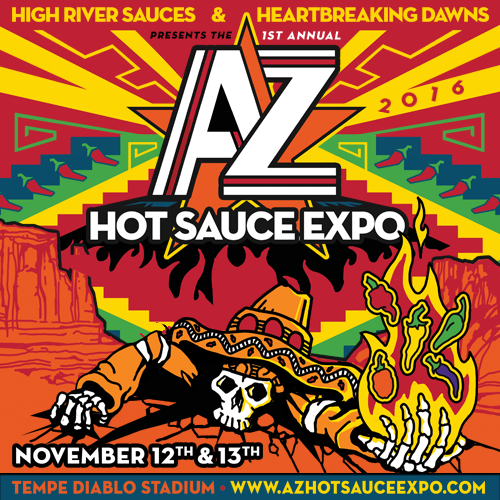 Got a new hot sauce and want a public review? New spicy chip? Pickle? Nut? Sweet Treat? Hair Color? Wait……okay, the hair color thing isn’t true, but the other stuff is totally true. I’ll be glad to review basically any spicy food product you have. Except maybe spicy pickled pigs lips and other sundry strange things. Andrew Zimmerman I’m not! But on the rest, you can request either a video or written review! Or if you’d prefer Private feedback, we can do that, too. It’s up to you. Contact me via email at fieryworldken@gmail.com letting me know you’re interested and when you’d like to send me your product(s). I’ll reply with my formal address and be on the lookout for your package. I’ll do my best to get your review/feedback published or back to you as timely as possible, but it could take some time, depending on the volume of requests and my availability. After all, a guy has to make a living! If you have a special time-sensitive event, let’s talk about it and I’ll try and accommodate your need without ticking off everyone ahead of you in the queue! Reviews will be as fair and objective as possible, but no promises can be made that guarantees you a positive review. I do promise to be courteous and professional, but my impressions and opinions are what they are, and I’m in no way obligated to provide your product a positive rating. If you don’t want a formal review and would rather a simple company or product profile, that can be arranged, based on my availability. Just send me an email and let’s discuss! When you submit your items for review/feedback/profile, please provide me any product sheets, pictures, website URL’s and info, etc. that may be useful and helpful. That will help me tremendously in expediting your write-up. I may not use it all, but having choices affords you the best opportunity for a good posting. Also, reviews will generally follow my standard format, and if you send me multiple products, I can’t promise they’ll all be reviewed back to back or get them all out in short order. I’ll work with you the best I can if you have specific needs and timelines, but if I’m backed up, I may need to review multiple products during the same review session, in order to get them done timely. Also, unless you specifically request otherwise, I reserve the right to use and write up your products in a unique way (a spicy meal featuring multiple products, for example), in addition to your requested format. Your product should be available for retail sales either regionally, via internet sales, Amazon, etc.) You know…to more than your crazy Aunt and cousins. By sending me products to review, unless specific requests are made for private feedback, I have the right to publish them on sites other than “It’s a Fiery World”, including Facebook, Google+, RSS feeds, other blogsites, etc. After all, aren’t you looking for exposure!? I also do reviews for Scott Roberts Weekly Firecast Podcast (www.scottrobertsweb.com) (I have a regular segment- check it out!) I Love it Spicy (www.iloveitspicy.com) and occasionally HotSauceDaily (www.hotsaucedaily.com), so your product may end up being posted to those sites and follow the terms/conditions of those webmasters. I don’t do super hot pepper eating challenges. There are lots of folks out there who love to test their abilities in that area, if that’s what you’re looking for. I’d be happy to point you to some who do a good job with their challenge videos if you’d like. If you’d like your fresh or dried peppers reviewed, however, I’d be happy to ablige, but they’ll be used in a dish and not eaten alone.